According to the world of Twitter, coffee is a serious blessing. Just in the last week there have been 254 tweets with the words “coffee” and “#blessed”. Some people celebrate coffee for the way it encourages one to pause and enjoy their surroundings or loved ones. 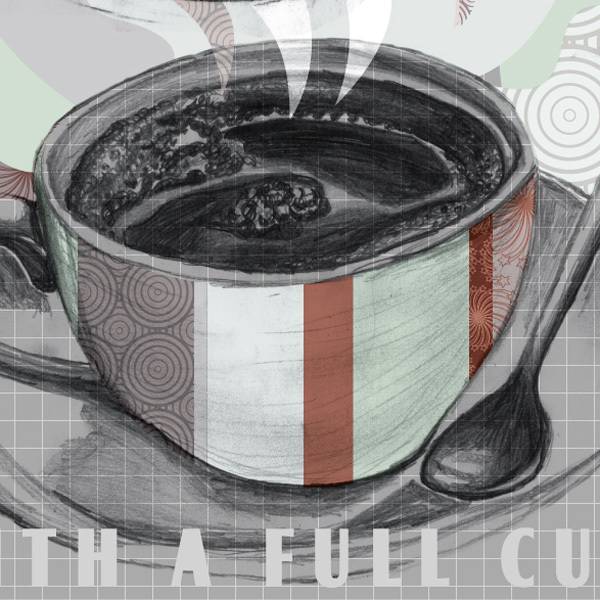 Some use coffee as mediation device aiding in their study of God’s word and yet others simply celebrate coffee for what it is, a tasty cup of caffeine. I’m not sure if the beverage itself is a blessing, but in this fast paced world any mostly harmless tool that helps us revel in the moment is worth rejoicing. 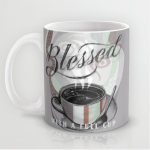 Consider buying a gift for the coffee lover in your life. The print is available on mugs, clocks, bags, shower curtains, rugs, prints, and laptop covers. Enjoy this concept? Check out one of Jessa Wilcoxen’s earlier pieces about Pie Blessings. 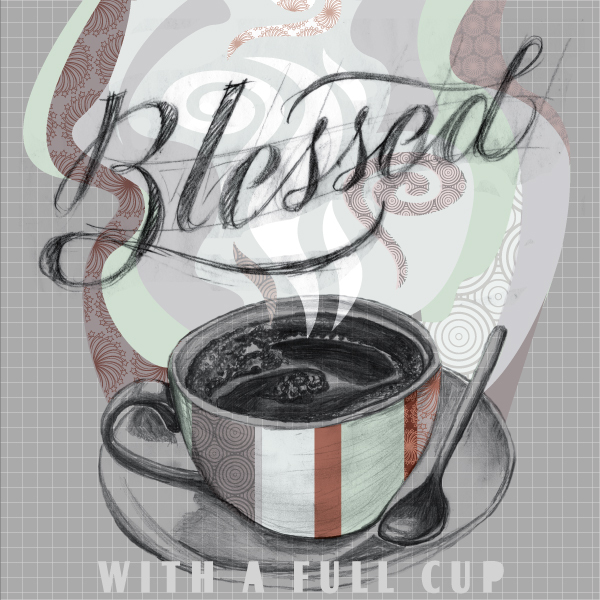 Tags: blessed, blessed coffee, christian design, coffee blessing, hand lettering type, illustrated typography, religious art, religious design. This is beautiful! Great work! I enjoy your blog and look forward to seeing more.